An appreciation of the life and work of the legendary producer Menahem Golan. Throughout their partnership, Brach did most of the writing. "We talk and then he writes it," Polanski explained. "Then he comes back into the room and we change it together." Besides his work with Polanski, Brach co-wrote screenplays for several of the most notable films of the 1980s, mostly for non-French directors: "Identification of a Woman" (Michelangelo Antonioni, 1982), "Favourites of the Moon" (Otar Iosseliani, 1984) and "Maria's Lovers" (1984) and "Shy People" (1987), both by Andrei Konchalovsky. Nevertheless, his most acclaimed screenplays were for Frenchmen: Berri, the two-part Marcel Pagnol adaptation, "Jean de Florette" and "Manon des Sources" (1986); and Jean-Jacques Annaud, "The Name of the Rose" (1986), "The Bear" (1988), "The Lover" (1992) and "Minor," currently being shot in Spain. Brach was agoraphobic, and for almost the last 10 years he hardly ever left the Paris apartment where he lived alone, rarely receiving visitors, except for the occasional director. "I want to find out what the censors say about my film," Andrei Konchalovsky whispered to the projectionist. "I'll give you a bottle of brandy if you eavesdrop after the screening, and let me know what their objections are." CANNES, France -- Sometimes at the Cannes Film Festival you see a masterpiece that strikes you in a certain way, and you are sure it wi ll be a success all over the world. Sometimes you are right, but sometimes you are wrong. Last year at Cannes, I saw "Shy People," a bold and unusual drama about a chic magazine writer who ventures into the bayous of Louisiana to seek a long-lost cousin who turns out to be a cross between a swamp woman and a force of nature. The film had such an effect on me that I was sure it would be felt by others. 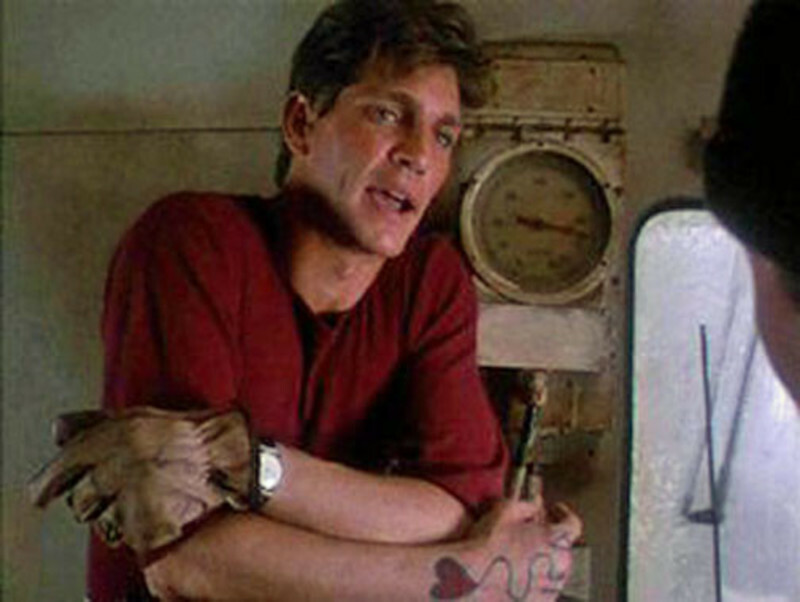 NEW YORK -- Eric Roberts has an agent who lives nine stories above Seventh Avenue, near Times Square, in one of those old brick buildings filled with the offices of private eyes and mysterious import-export operations.